Michigan Wolverine State Quarterbacks Spartan White House Win 16 Electoral Votes Donald Trump, Bernie Sanders or Hillary Clinton? What if our Great State of Michigan is the Decider in this Historic election? What if it comes down to Michigan? Thomas Edison, Port Huron, Michigan Invention of Incandescent Light Bulb. Ford Motor. Henry Ford. Automobile, Truck, Tractor Mass Assembly. 5 dollar work day. Model T in any color as long as it is painted black. Model A red and other color selections. Thanks, to Edsel his son. Seem to remember Henry Ford ran for President, too. Billy Durant. Flint Carriage Works. General Motors Flint Michigan. Buick, Chevrolet, Pontiac, A.C. Spark Plug Albert Champion, international automotive race champion. Delco. Under the Oaks. Jackson, Michigan July 6, 1854. Birth of Labor Movement. Flint Michigan. United Autoworkers. First Labor Agreement. Michigan State University Important Selected Dates in Michigan History. Independent, Republican, Democrat...etc. whatever denomination. Make your Selection and Vote. President Gerald Ford, a Republican from Michigan, who was a football player (that's cool) from University of Michigan, a Michigan Wolverine, who confidently, successfully with a steady Michigan hand, steered our Nation through turbulent political times that us baby boomers never, ever saw before. Can't describe it in words. Pension Benefit Guarantee Corporation which protected workers with a Defined Benefit Agreement...in other words, their pension. Remember the picture of the signing ceremony? President Ford Signing ERISA into Law 1974 on Labor Day Employee Retirement Income Security Act of 1974. On Labor Day, President Gerald Ford from Michigan signing ERISA into law photo. Both Democrats and Republicans standing behind him as he signed it into law. Gerald Ford had never won those Michigan elections in those past years? The years before alot of us born? What if people hadn't voted? Our Nation and Michigan is grateful for President Gerald Ford. A great man and a great President. Republican From Michigan. We are in the greatest country in the history of the world. We are Red, White and Blue. We have made history in this state of Michigan. Let's Make a Little More during Election 2016. Michigan's 16 Electoral votes are going to decide the next President of the United States. We helped our Country with Michigan favorite son Gerald Ford. On your Journey to Register to Vote. Do the same on the way to the poll. England rockers Deep Purple, Godfather of Soul - Creator of Funk James Brown from Barnwell South Carolina saw Whiting Auditorium 1996 performance, Flint Michigan Band Grand Funk saw Pine Knob Bosnia Tour 1996, Rock and Roll Soul, Anything Motown 4 Tops, Supremes, Marvin Gaye, Miracles, Temptations Detroit Mi, Bob Seger Detroit Mi, Blues, Florida Lynyrd Skynyrd Free Bird, Elvis Memphis Tennessee, Mississippi B.B. King, Mexico's Carlos Santana, Elton John Goodbye Yellow Brick Road, Pink Floyd, Molly Hatchet, English Band Led Zeppelin rocked Deeetroit, MI Cobo Hall Summer 1973, St. Louis Missouri Chuck Berry, John Cougar Mellencamp Indiana, Beach Boys California, saw them around 40 yrs ago in the 1970's at MSU. Canada's April Wine saw at Michigan State University 1981. Port Arthur, Texas Janis Joplin. Hendrix Woodstock. Jefferson Airplane. Ten Years After, Humble Pie, Johnny Winter, Alice Cooper, Black Sabbath, Uriah Heep, Golden Earring all at Flint Michigan I.M.A. Montrose Sammy Hagar. Van Halen first 3 Lps. Need more Eighties and Nineties tunes. Hmmm. Ratt, Dokken, Great White, Kingdom Come, Cinderella, Poison. Soundgarden, Nirvana, Alice in Chains.Whitesnake. Flip on your fav Michigan FM Classic Rock radio station or XM Sirius or whatever. ...any of their albums, cds. The Eighties Club Politics and Pop Culture of The 1980's. Go back 36 years. Great Read. Only you know the songs that motivated and inspired you when you needed it the most. The 1 or 2 or three songs on your Top Ten list of greatest hits that kicked you into gear. The jams you love to hear over and over again. Cranked to the max whike drinking your too strong coffee or a Mountain Dew while listening. Don't play it too loud. You're older now. Need that hearing after working in the shop, plant, factory, warehouse, office, business wherever all those years. Plus, you don't wanna embarass yourself. All the Presidential Candidates have worked hard for your support in Campaign 2016. Donald Trump, Bernie Sanders and Hillary Clinton. they get to the White House. Michigan can make the difference. Michigan can make history and Decide the next President of the United States. Treat yourself to a hamburger and fries at the local coney island after. It's different this time, man. Michigan's gonna make the difference. As of May 25, Donald Trump is Gop presumptive nominee for President at Republican Party Convention in Cleveland, Ohio. Donald Trump News Conference On Clinching Gop Nomination May 26 2016. Bismark, North Dakota. Trump Energy Speech at Petroleum Conference. GOP Nominee Donald Trump Press Release: An America First Energy Plan May 26, 2016. First news conference since exceeding, surpassing 1237 delegate number needed to win on first ballot for Gop nomination at Gop Ohio convention. Donald Trump clinches Republican nomination. Wrap it Up was a great song by The Fabulous Thunderbirds in the 1980's. Stevie Ray Vaughn's brother Jimmie Vaughn played guitar in the Fabulous Thunderbirds. Presidential Nomination at GOP convention in Cleveland, Ohio on July 18 thru July 21, 2016. Donald Trump won Michigan Primary on March 8, 2016. Democrat Party Convention in Historic Philadelphia, Pennsylvania July 25 thru July 28. Upcoming Western states, California, has a goldmine of delegates. Bernie Sanders stated he is taking nomination to Democrat convention. Bernie Sanders Discusses His Presidential Campaign June 22 2016 Exclusive Video Interview with Bernie Sanders Democrat Presidential Candidate 2016 on C-Span. Bernie Sanders talks about his life and career. Will put link to Hillary's or Bernie's Celebration photo or video when Democrats Clinton or Sanders attains delegates threshold. Hillary Clinton at Dougal Greenhouse Brooklyn Navy Yard Speech After Winning New Jersey Primary. June 7 2016. 5 other states also had primary and caucus votes on June 7 2016. Montana, North Dakota, South Carolina, California and New Mexico. Hillary Cliinton has enough delegates to become presumptive nominee for Democrat Party Presidential Candidate 2016. Maybe think of a cool song that sums up their victory celebration, also. How about.. It Don't Come Easy song by the Beatles' Ringo Starr 1973 or 1974 classic 45. Still hear it on radio playlists. Ringo Starr and the All Stars are a great touring band. Check 'em out when they play in Michigan venues. Bernie Sanders won Michigan Primary on March 8, 2016. C-Span will have gavel-to-gavel coverage of Democrat and Republican Conventions 2016. Political history is being made. We've never seen a Presidential election like this. Ever. This election will be analyzed, written about and discussed in American History and Political Science classes ad infinitum. Consumer Price Index, Unemployment Rate, Average Hourly Earnings, Payroll Employment, Producer Price Index - Final Demand, Productivity and more statistics. What is The Electoral College? Michigan Secretary of State Website educational info about U.S. Electoral College and specifics about Michigan's Electoral College. Secretary of State website has other links for Michigan citizens concerning voter, voting educational information. If you're registered to vote, first time voter or want to learn more about Michigan elections this is the official State of Michigan website. Check it out. Great job. Did you know that if you are 60 yrs of age or older you can sign up for automatic absentee voting in Michigan? What's nice is a voter can take the time to research all the candidates positions on specific issues. Also is great for research time on ballot initiatives and proposals. Also, you might want to help your specific candidate get elected. Go to candidates website for more direction on getting involved. If you know where your candidates election campaign headquarters is, stop in. Get a bumper sticker, yard sign...etc. Good luck to your candidate! To learn more about Absentee Voting visit Michigan Secretary of State website. Michigan has a very Independent spirit. Alot of us vote independently. We split ticket vote a lot of times: One party candidate(s) and another party candidate(s) at top and bottom of ticket. Around 42% of voters identify as Independents and vote accordingly in the USA. 2016 August Primary and November General Election will have Huge Turnout. Highly probable it will be a Record turnout. Be a part of US history. Elections in our great state of Michigan. Key State in Election of President 2016. Wouldn't that be the cat's pajamas! You probably did, and you're the bee's knees! Nafta and the whole gamut of trade deals over roughly the last 25, 30 or more years has had a major impact on Michigan. If one worked for an auto manufacturer or supplier I'm preaching to the choir. You know what I'm talking about. Jobs downstream and upstream affected in other various areas of our local economy, also. No matter what party our Michigan elected officials belonged to, they tried to keep and grow jobs in this state. They are still keeping at it. Thanks for your hard work. Both political parties in Michigan. We are the Manufacturing Belt. Ok, done complaining...I mean constructive criticizing. Always wondered, if the trade deals were so good, why did merchandise trade deficits with major trading partners constantly get larger and larger. The Ross Perot campaign talked about the giant sucking sound of jobs leaving the USA due to Nafta back in 1992. The 3 contenders in 2016 Presidential Campaign Sweepstakes have shined a light on all the trade deals and offered their solutions to them. Who's most believable on doing what they said they will do during their respective election campaign speeches will increase probability of winning in Michigan and other manufacturing belt swing state, battleground, purple states. Haven't seen a Belivability Poll done yet. Especially in Manufacturing belt states. Protects and Enriches our Country. Wouldn't it be nice to have an overall trade surplus for once? When's the last time we had one? U.S. Trade in Goods by Country Foreign Trade Balance Census.Gov Great Educational Website. Great Job! Birthplace of GOP Under The Oaks Jackson, MI OR Little White Schoolhouse Ripon, WI Primary Republican Party State Birthplace? On July 6, 1854, a state convention of anti-slavery men was held in Jackson to found a new political party. Uncle Tom's Cabin had been published two years earlier, causing increased resentment against slavery, and the Kansas-Nebraska Act of May, 1854 threatened to make slave states out of previously free territories. Since the convention day was hot and the huge crowd could not be accommodated in the hall, the meeting adjourned to an oakgrove on "Morgan's Forty" on the outskirts of town. Here a state-wide slate of candidates was selected and the Republican party was born. Winning an overwhelming victory in the elections of 1854, the Republican party went on to dominate national politics throughout the nineteenth century. Great Michigan and All states Idea! Local and National TV Channels. Advertise Register to Vote by Dates and Voting Dates for August Primary Election 2016. Do the Same for the General Election 2016. Increases Voting and Voter Turnout, possibly. All 50 States of the Union. Money saved fills some potholes. Lower the deficit. Who knows? More citizens voting is the greatest benefit. Michigan is considered VIP, Very Important People. Michigan is a key high population Swing state, Purple state, Battleground state Electoral College wise, Independent, Moderate, Democrat and Republican wise, in the Manufacturing Belt (some refer to it as rust belt) in 2016 Presidential, House, Senate and Down Ticket (listed lower on voter election ballot) elections race sweepstakes along with Michigan's other neighboring battleground states. As the saying goes, "We're All That and a Bag of Chips!" Michigan had higher percentage voter turnout in March 8, 2016 Presidential primary election than some past Michigan Presidential primaries. High probability that Michigan's August Primary and November General election voter turnout will be higher, setting records, due to eligible voters of all ages registering to vote for first time because of outsider status of candidates. Plus, Presidential race is the Number 1 topic on cable news and views channels. Makes perfect sense there is increased voter engagement. Michigan is The Birthplace of The Republican Party, Born in Michigan at "Under The Oaks" in Jackson, Michigan on July 6, 1854. Milestone in History. Under The Oaks at Jackson Michigan, Michigan Marker Historical Marker Database Picture of "Under The Oaks" Michigan Historic Marker in Jackson, Michigan. One of many Historic "Firsts" for our Great State of Michigan along with Michigan's Automotive, Labor, Sports, Music other "Firsts". Historic political "Firsts" happened at "Under The Oaks" in Jackson. "Under the Oaks" is a Biggie! It Doesn't Matter...Whether you are Democrat, Republican, Independent, Moderate, another party denomination, or have never, ever voted before. This time it's different. We've never seen a Presidential campaign like this before. Ever. Historical. Take part in U.S. political history being made. Michigan political history being made. Take Part in Your Michigan History! 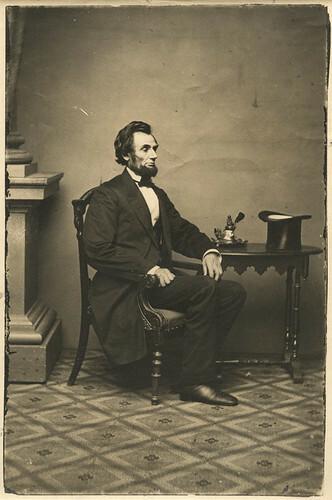 Make Honest Abe Lincoln Proud and All our President's from the past. Vote for whoever your choice is. Michigan Blue Collar Scholar's Where is The Birthplace of Republican Party and does one states history trump the other states history web surfing links. First, having the Republican Party's origins in your home state is a great source of pride to all citizens be they independent, democrat, republican, whatever political persuasion in Michigan or Wisconsin. There is a friendly rivalry in sports between Michigan and Wisconsin, also. In Michigan we root for Michigan, in Wisconsin we root for Wisconsin. It's fun to compete, and we are great neighboring states of the union. Birth of The Republican Party, GOP, Grand Old Party at "Under The Oaks" July 6, 1854 in Jackson, Michigan. Official Convention, Platform and Delegates. Milestone in Michigan History, U.S History International History. Paul Ryan, Republican Speaker of the U.S House of Representatives and Mitt Romney's Vice-President running mate selection in 2012 Presidential election, is from Wisconsin. Reince Preibus, 2016 Republican National Committee RNC Chairman, elected in January 2011, previously was Chairman of the Wisconsin State Republican Party, is from Wisconsin. Politically in 2016 presidential race, read or heard on variety of Radio talk shows, TV cable news and views programs discussing 2016 primary and general elections, and various mass media that Michigan, a Key blue collar election state electorally speaking, and Wisconsin are among the key swing states (battleground states) in manufacturing belt (prefer manufacturing belt term over "rust belt" word usage)during the 2016 presidential election campaign. There is a commonality there, politically speaking, along with other neighboring states, Ohio, Pennsylvania, Indiana, New Jersey and other manufacturing belt, swing states. Fascinating. Back to topic of birthplace of the Republican Party. Being a Michigan dude, I'm rootin' for my team, "Under the Oaks" in Jackson, Michigan being where the Republican Party was born, birthplace...etc. Expect you'll root for your home state of Wisconsin. Ripon, to be exact. Among my favorite U.S. President's list, President Abraham Lincoln Republican from Illinois state is my Number One favorite, , President Theodore Roosevelt from New York, T.R., Republican from New York, President Franklin Delano Roosevelt, FDR, Democrat from State of New York, President John F. Kennedy, J.F.K, Democrat State of Massachusetts. By the way, Don't forget to Register To Vote and Vote in your State of Michigan, Wisconsin, Ohio, Pennsylvania, Indiana whatever state you live in our 50 states, 2016 August State Primary election and November General election for President of The U.S.A 2016. It's a priviledge and responsibility we have as citizens. In Republican Party origins history here's some websites, newspaper articles and books I found on the web for historical research and enjoyment. "Under The Oaks Gathering in Jackson Celebrates Republican Party's 155th Birthday" July 6 2009 Jackson Citizen Patriot article. More than a news article, a history lesson. Great reporting. Famous, past names from Michigan's earliest days. Stories, noteworthy achievements and accomplishments in our Great Lakes State. Worth reading if you're a Michigander or not, like politics or not. Just some good old 1800's Michigan History. Cool photo of Under The Oaks Michigan Historical Marker. According to a republican historian who attended the Jackson, Michigan Under The Oaks celebration, thousands of people traveled to Jackson, Michigan from all over the country, for a convention. Under the Oaks was where the party was formed, a platform created, and candidates nominated. Blue Collar Michigan thought: That's 3 official things. "Peek Through Time: The Republican Party Celebrates It's 157th Anniversary With a Re-Enactment Under The Oaks On Wednesday" July 1, 2011 MLive Jackson Citizen Patriot. Excellent narrative history piece concerning Birth of the Republican Party at the First Official Republican Convention Under The Oaks. Talks about Whig, Free-Soil Party, Kingsley S. Bingham, one of the country's first Republican Governors. Michigan Republican Governor Bingham established The Agricultural College of Michigan which later became, you got it, MSU, Michigan State University. Earned him nickname of The Farmer-Governor. He was originally nominated to run during the First Official Republican convention at Under The Oaks. A "History of Jackson County" book is mentioned containing a detailed account of Under The Oaks. Please read article. Great Michigan journalism. "History of Jackson County" Charles V. DeLand Chapter Xl The Republican Party History of It's Origin and Organization. E-book History of Jackson County (Mich.) Charles V. DeLand was editor of The Jackson Citizen a Whig newspaper. It was the predecessor to the Citizen Patriot newspaper. "Peek Through Time: 100 Years Ago President Taft Helped Jackson Mark Republican Party's Founding"
100 Years Ago: President Taft Helped Jackson Mark Republican Party's Founding on June 4, 1910 (day President Taft visited). Nice postcard photo of President William Howard Taft's dedication of a plaque at Under The Oaks is in a great article written on June 4, 2010 in Michigan Live. Other future Presidents have visited Jackson, Michigan also. Dwight Eisenhower as presidential candidate, Vice-President Richard Nixon and John F. Kennedy as a candidate for President. Read a hard copy book called "Proceedings at Celebration of the Birth of the Republican Party at Jackson, Michigan together with a History of the Republican Party July 6, 1904"
I think I remember reading in the book it was handed out to the Republican delegates and elected people back in 1904. Hopefully, State of Michigan Republican Party officials, delegates will read book and make their case to Republican National Committee. Have RNC read the book. Birth of the Republican Party at Jackson, Michigan is in the title, for goodness sakes. It don't get no clearer than that or more succinctly put... whoops, there it is! Heck, maybe a reporter at Jackson Citizen Patriot could write a great article update to the news articles below, during historic 2016 Presidential campaign. That would be cool. Found ebook. Thanks Ohio State University. "Proceedings at Celebration of the Birth of the Republican Party at Jackson, Michigan together with a History of the Republican Party July 6, 1904"
"Republican National Committee No Longer Lists Jackson As Birthplace of Republican Party" March 24, 2011 Jackson Citizen Patriot via MLive online. Official Republican Party, GOP, Grand Old Party History Page. The Historical Marker Database Under The Oaks Michigan Historic Marker Nice photos and story of "Under the Oaks" Jackson, Michigan from The Historical Marker Database. Highlights a large picture of Michigan Historic Marker titled "Under the Oaks" with inscription text. Accompanying story on Under The Oaks Michigan Marker readable because of larger picture. Nice. Nearby marker at "Under The Oaks" Park pictures, also. Birth of the Republican Party in Jackson, Michigan on July 6, 1854. Read all about it! And see! History of the United States Republican Party at Wikipedia Click "Organizational Beginnings 1854"
Jackson County Republican Party Official Site Official Jackson County Michigan Republican Party Website. Birthplace of The Republican Party is at top of the page. Crawfordsville, Iowa and Exeter, New Hampshire are mentioned Playing a Role in Republican Party History.